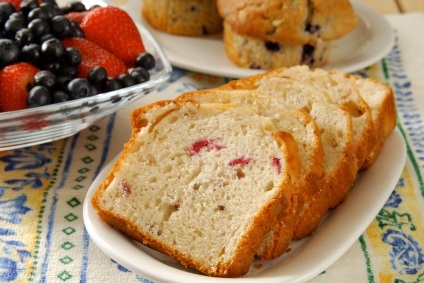 A treasure of homemade quick bread recipes from scratch. Old fashioned flavor that is tender, moist and so delicious. 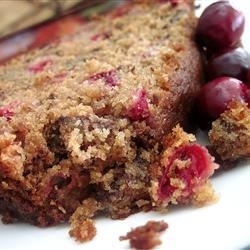 Of course you can find a banana bread recipe anywhere, but I am going to post cranberry bread, lemon bread, mango bread, strawberry bread and more below. Mix ingredients together and frost loaf. 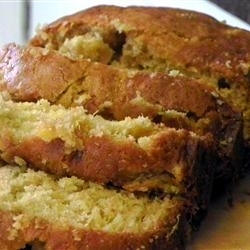 This is an excellent homemade quick bread recipe. 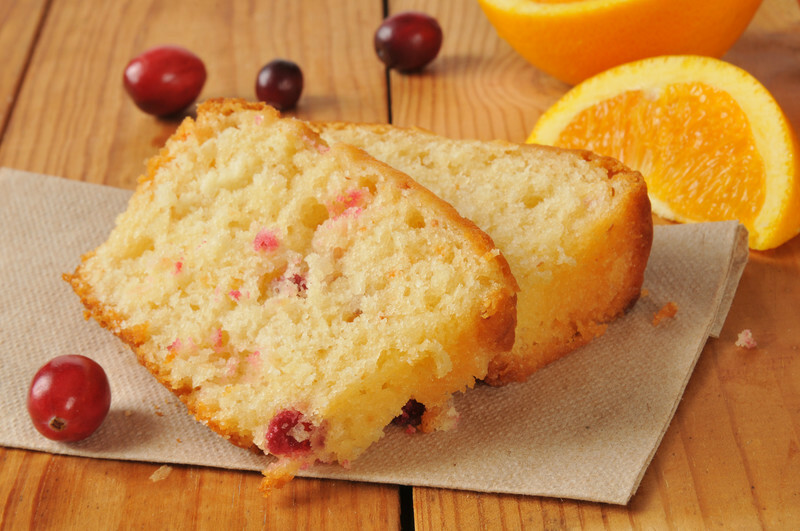 This homemade quick bread recipe brings warm memories. Hopefully it will with you too. PREHEAT oven to 325 degrees. Grease and flour a loaf pan; set aside. Cream together the sugar and shortening. Add the beaten eggs and mix well. Sift the flour, salt and baking powder together and add this to the creamed mixture alternating with the milk. Fold in the juice and grated rind. Bake for 1 hour and 10 minutes. Drizzle with glaze. Cover the blueberries with flour and fold in with the lemon juice and grated rind. 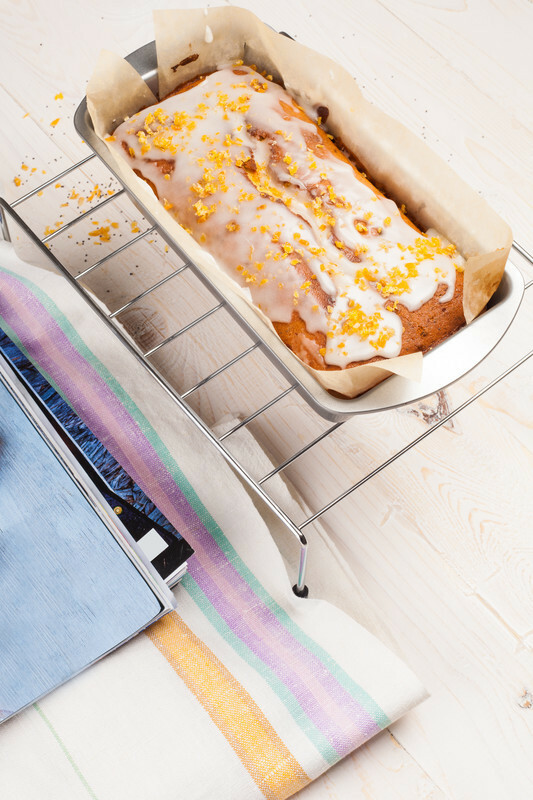 This homemade quick bread recipe for Mango bread is wonderful. You may used chopped nuts if you wish. PREHEAT oven to 350 degrees. Butter and flour a 8-1/2 inch loaf pan. Place on a baking sheet. Whisk the eggs and oil together; set aside. In a large bowl, whisk the flour, white sugar, baking powder, baking soda, ginger, cinnamon and salt together. Rub the brown sugar between your palms to remove lumps and stir in. Pour the wet ingredients over the dry and with a sturdy spatula, mix until just blended. The batter will be very thick (more like a dough than a batter), but it will soon come together. Stir in the mango and raisins (if you are using them). Pour into the loaf pan and smooth the top with a rubber spatula. Bake for 1-1/2 hours, or until it is golden brown and a thin knife inserted in the center comes out clean. If the bread looks like it is getting too brown, cover it loosely with a foil tent. Lightly sprinkle your sliced strawberries with sugar and set aside. Combine the flour, sugar, cinnamon, salt and baking soda; mix well. Combine the pureed and sliced strawberries together, and mix in the oil, vanilla and eggs. Next add the flour mixture to the strawberry mixture - blending just until the dry ingredients are moistened. Stir in your pecans. Divide your batter and pour into the prepared loaf pans. Bake for 45-50 minutes, or until toothpick comes out clean. Let cool in pans for 10 minutes and then transfer to wire racks. Use a food processor or electric mixer. Beat the strawberry puree into butter. When fairly smooth, beat in sugar. Pack butter into bowl or a mold. Chill. Makes 1 cup.